My Mother in-law has this amazing Dickens Christmas Village. To say I was envious would be a huge understatement! She has spent the last 20 years building it piece by piece, tree by tree. It’s stunning with all the lights, skaters, horses, and carollers. The photo does it no justice, its really something to see. Since I’m in no position to start a village of my own (especially a Dept. 56 one) I thought I’d put on my crafty cap and make one of my own! 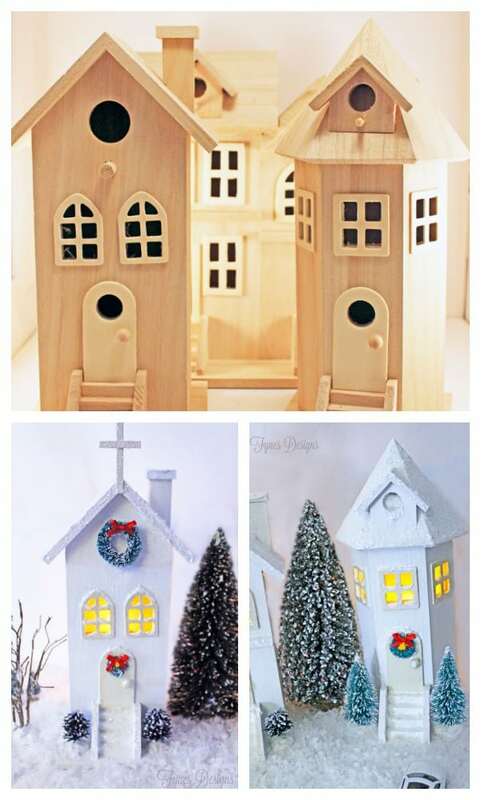 I found these great birdhouses at Michaels, which made my handmade Christmas village come together in a flash! As you can see I didn’t even have to do much work to them! I first cut off the bird pirch, and covered over any holes with balsa wood (you could also use a dollar store wood ornament cut up). Use popsicle sticks to add a cross for a church. I gave them a coat of white paint, and glittered the roofs (by painting with Mod Podge, and sprinkling with white glitter). I painted the trim and doors with a slightly golden colour paint to make them stand out a bit more. 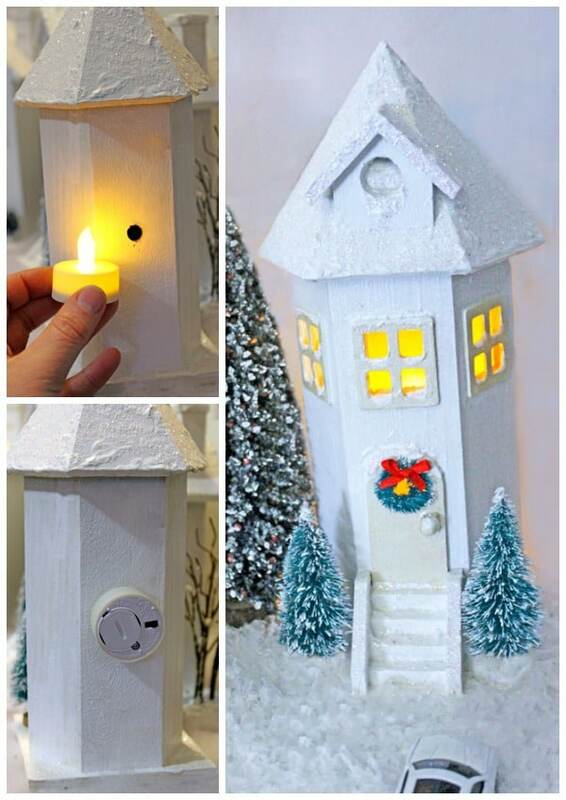 To give the village light, I drilled a hole in the back of each building and stuck a battery powered candle into the hole. Instant Light… and no cords! I also picked up a bag of tiny bottle brush wreaths from Michaels (6 for $3) I hot glued one to each door (I had to make a few of them smaller, by snipping with wire clippers), and made the swag across the front of the large house by cutting a wreath in thirds. 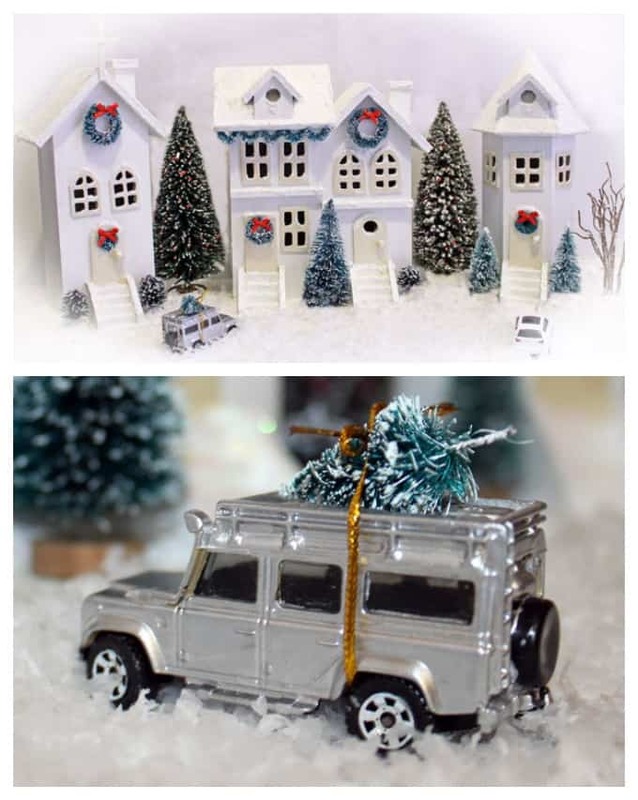 Add snow, a few dinky cars, and some bottle brush trees, and you have a Christmas Village! My Village cost about $20 (because I was able to find the birdhouses on clearance) by using your 40% off coupons I think you could do the same for cheap! 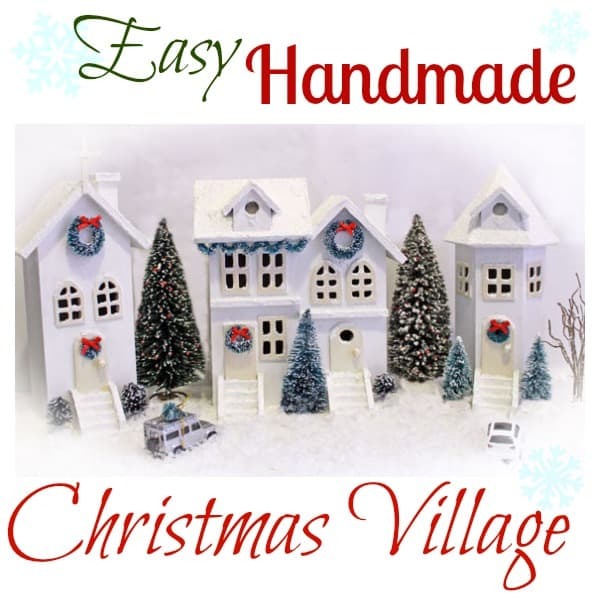 Do you have a Village for your holiday decor? Your village looks great! Love your imagination. I would never have thought about using bird houses. Very nice! You could use both the houses and the trees in a wreath! That would be an awesome effect! You rock! 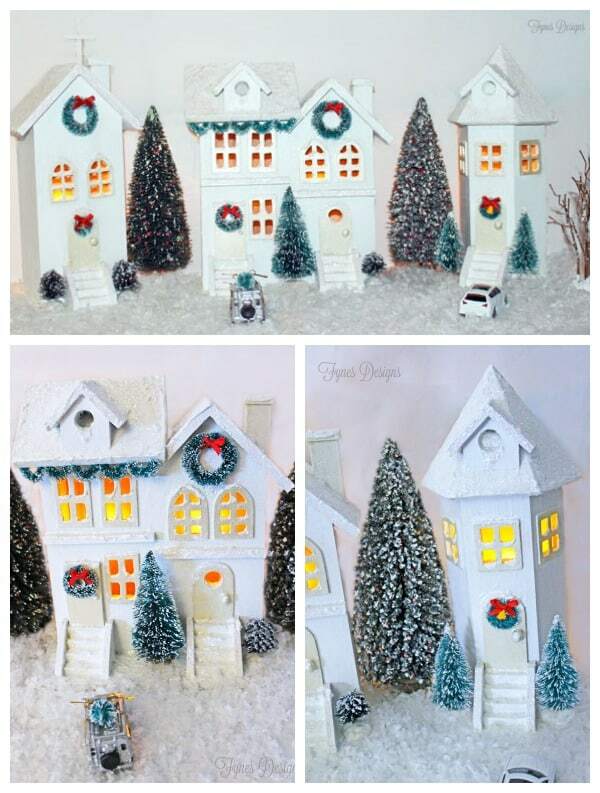 I love your christmas village idea !! So many other idea’s came into my mind to add to what you’ve done. I can’t wait to begin on mine after the new year. Thanks for sharing .